Thank you for your patience as we work to safely service accounts after this series of wintry weather that caused major service delays and disruptions due to unsafe road conditions throughout the county. Our top priority is the safety and well-being of our team members and the public. If we were not able to collect materials on your regular service day due to unsafe road conditions, please leave your container(s) out at the curb (or alley). We will collect material on your next scheduled service day. Please brush snow off containers. Windy weather info and tips to prevent windblown litter are here. If we do not service your account until your next scheduled service day, we will take extra material at no extra charge (not to exceed an amount that would be reasonably generated as a result of missed pick up). Use plastic bags for extra garbage. For overflow recycling, please place extra material next to recycling bins in an open cardboard box or plastic container (basket, bucket, etc.) no larger than a curbside recycling bin. Sudden Valley customers please visit http://suddenvalley.com/ for service delay alerts and news during unsafe road conditions. If you cannot wait until your next regularly scheduled pick-up, we will accept garbage and recycling, including extra material as detailed above, at no charge at one of our three Drop Box Facility and Recycling Centers located in Bellingham, Birch Bay and Cedarville. Visit our website for hours and directions. Thank you again for your patience and understanding as we work to safely collect all materials during these times. We appreciate the opportunity to serve you. Request a collection calendar here. For the latest info, click here or connect with us on Facebook and Twitter. Please contact us for specific account questions. Established in 1929, SSC is Whatcom County's largest recycling and garbage collection service provider, serving 45,000 + customers from Bellingham to Blaine and beyond. SSC was named the 2015 Outstanding Philanthropic Small Business for National Philanthropy Day and honored as the 2012 Green Business of the Year by the Bellingham/Whatcom Chamber. In addition to being a member of the Bellingham/Whatcom Chamber of Commerce & Industry, SSC is a sustaining member of Sustainable Connections, Toward Zero Waste Founding Pioneer, 100% Green Power Leader, 5-Star EnviroStar, BizCycle Silver bicycle-friendly business, League of American Bicyclists Gold Bicycle Friendly Business and Whatcom Smart Trips employer. 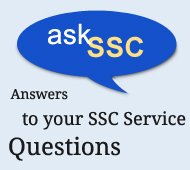 For more info visit ssc-inc.com. Connect with us: Facebook/sscinc and Twitter @sscinctweets.